Rob with his all time favorite comic book character, Vampirella. Before I get into this blog, I want to take a minute to personally thank all the fans who dress up for these events. Seeing you in costumes, for us, is a big part of the reason we enjoy attending so much. "Thank you for all the hard work you put into your costumes, it is appreciated, even from us who don't dress up." 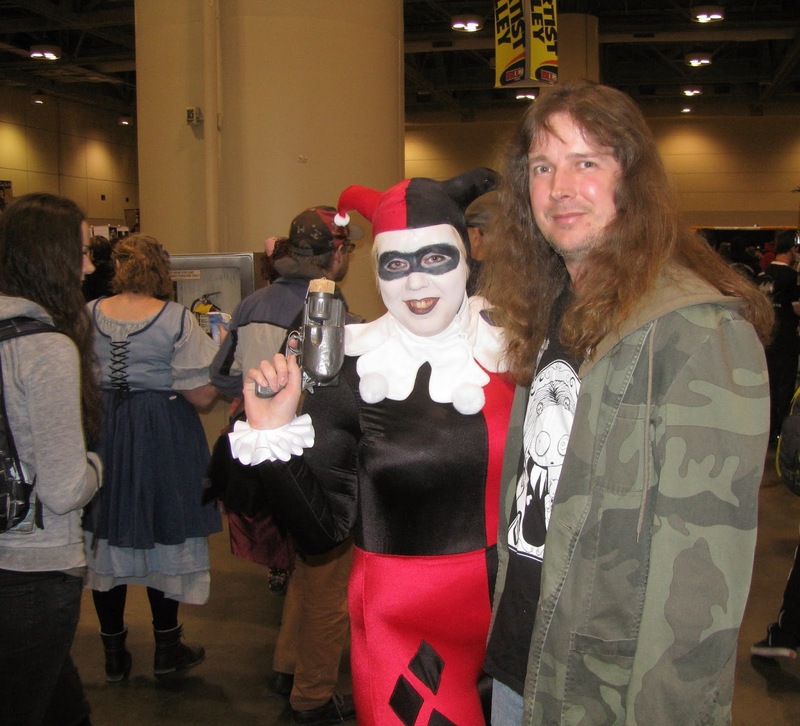 Yesterday Rob and I attended Toronto ComicCon. We hadn't been in a few years, and we were really looking forward to it. I forgot how much fun it is hunting for comics to complete our collections. Rob - Vampirella, me - the original Sabrina the Teenage Witch series. We both lucked out and added 2 more to our collections. We arrived shortly after 10am and walked right in. Lots of people already there and lots of fans in costumes! We walked the whole area looking at all the booths, enjoying the costumes, and from time to time asking to take photos, which everyone happily obliged. 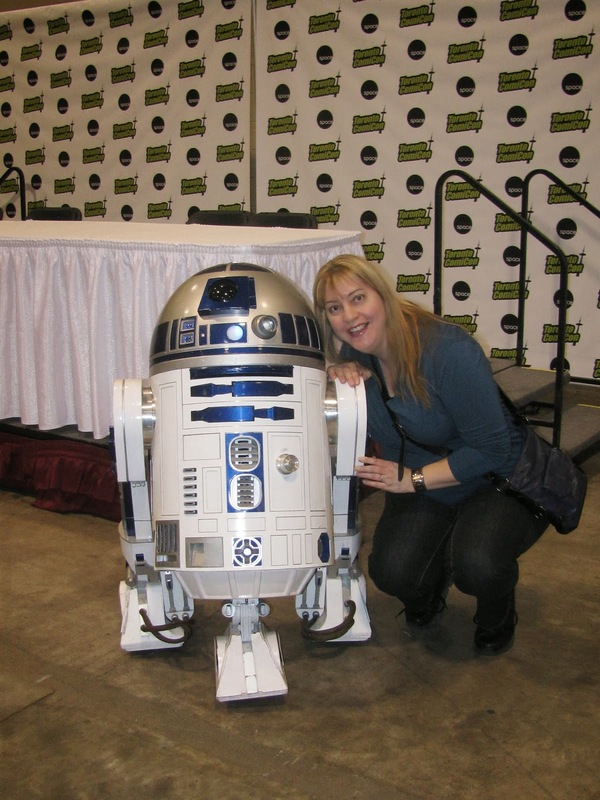 Me with R2D2! He moved, turned his head and made all sorts of noises! 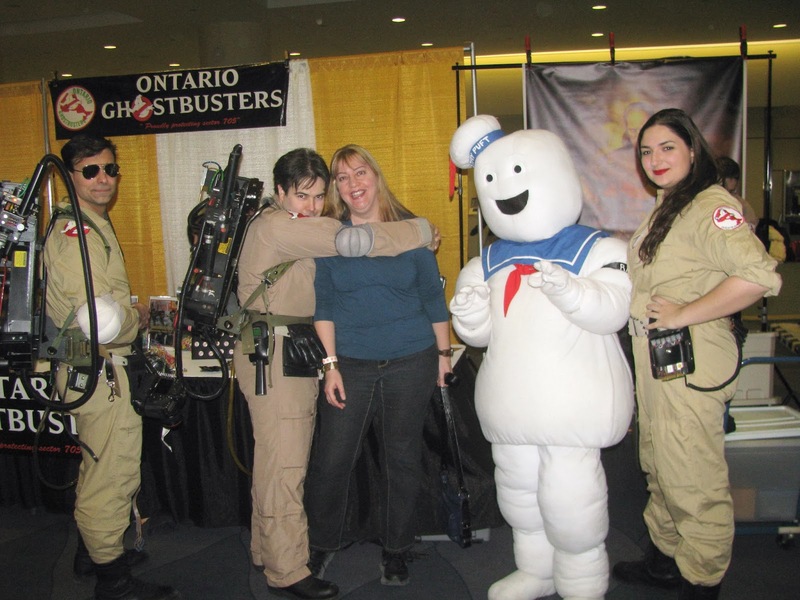 I have to admit, I had never heard of the "Ontario Ghostbusters" before, but after checking out their website was highly impressed. They raise money for various charities, and they do it well. Check them out! 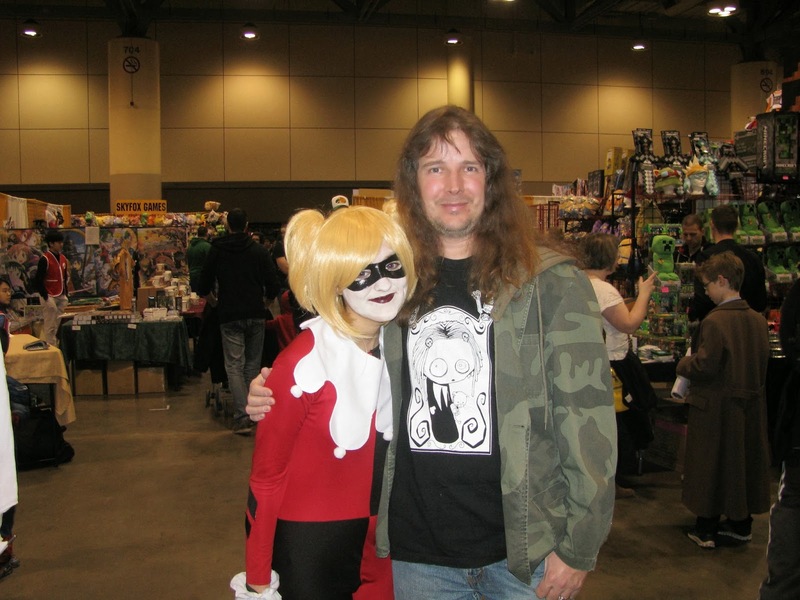 We ran into "Harley Quinn" from Batman. 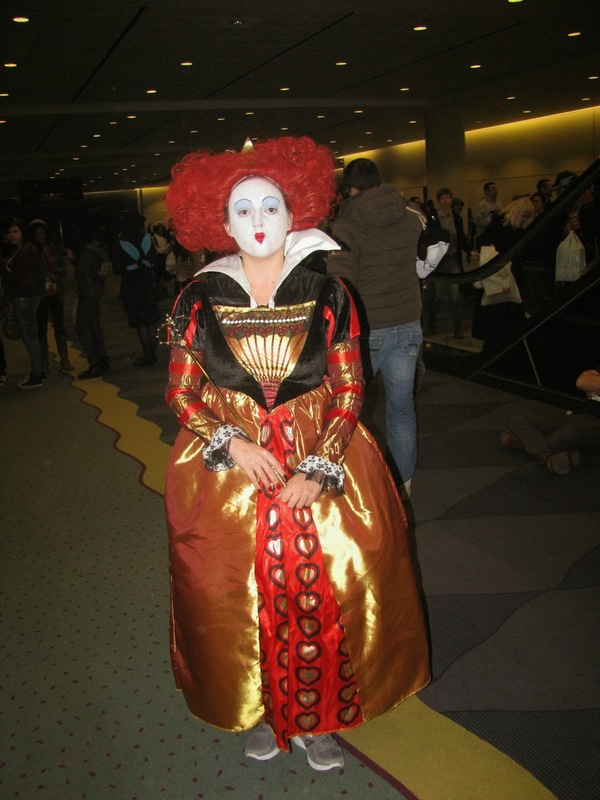 Queen of Hearts from Alice in Wonderland. One of the reasons I was super excited about attending this year, is because I decided to buy a "photo op" with Billy Boyd (Pippin) and Sean Astin (Samwise) from "Lord of the Rings", one of my all time favorite movies. Lots of fans dressed up from the movie. 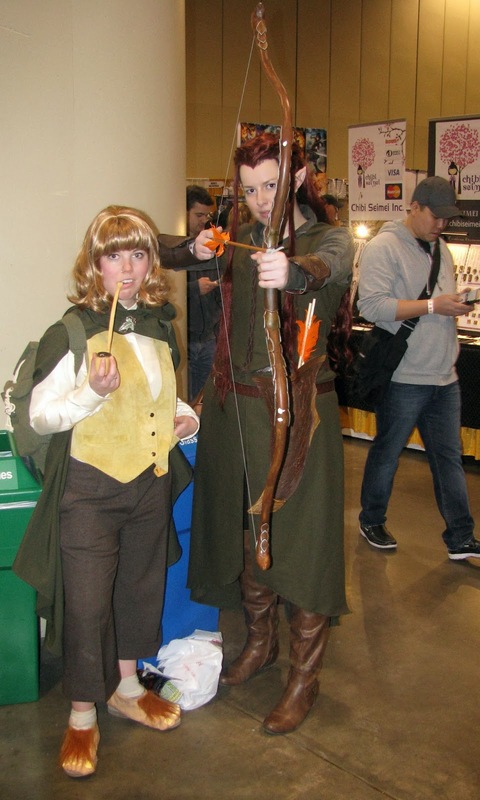 A Hobbit and an Elf. 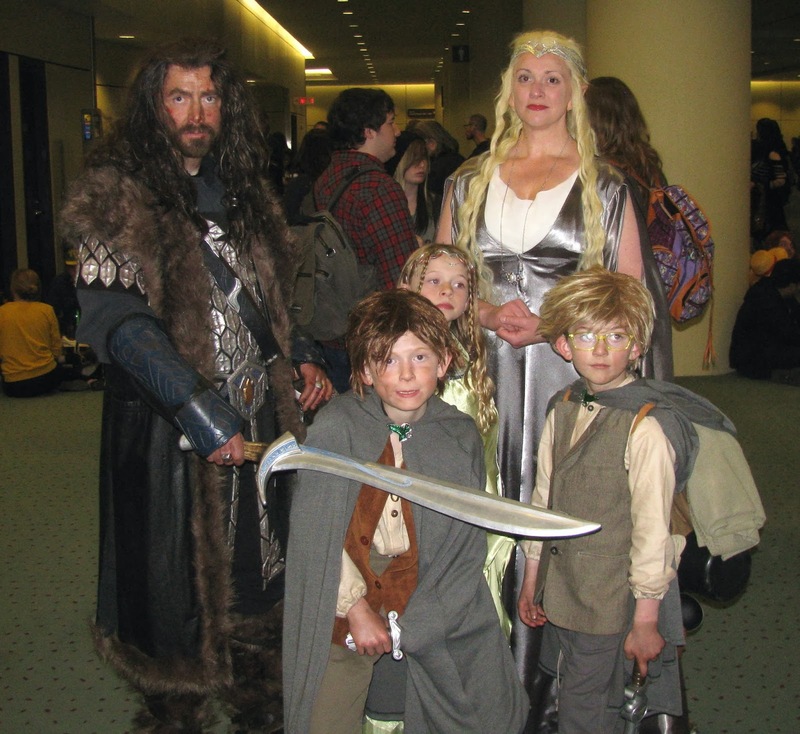 The whole family dressed up from the movie, awesome!!! Me with Billy and Sean. I'm not going to lie, I was disappointed with the photo op, it was super fast, like an assembly line. But, I paid for a pic, not a meet and greet. It was over in less then a minute, one take, and I wish Sean had of smiled, not given his "look", but what's done is done and I still had a great time at the event. Even waiting in line for the photo op was enjoyable, talking to other fans about movies, shows and other events. Our last visit to one of these events was in 2010, we won't be missing them again, they are too much fun.